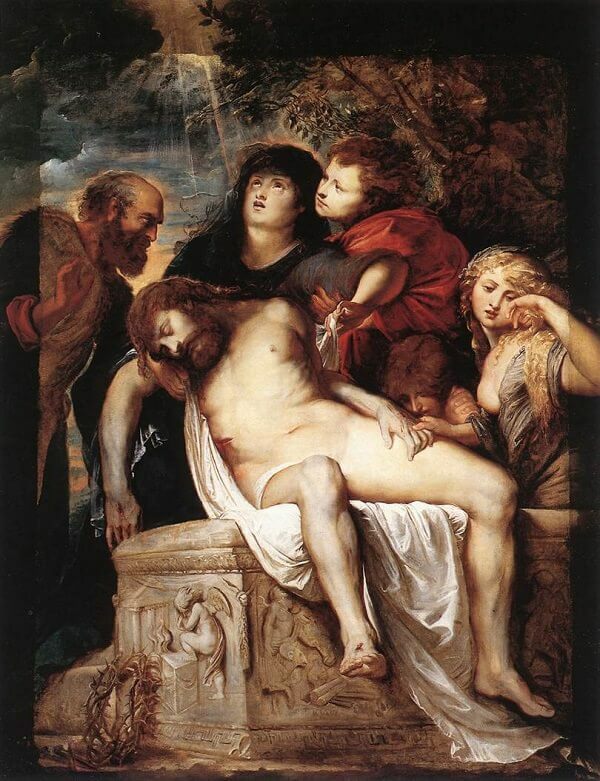 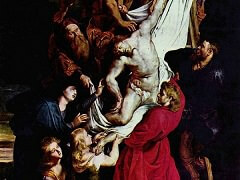 Peter Paul Rubens, the genius of European Baroque, painted his Deposition during his first stay in Rome. 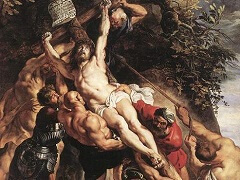 Rubens provides us with an extraordinary interpretation of the theme of the incarnation of the divine and human nature of Christ, suspended between death and potential future life. 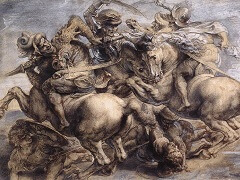 All the shades of the spectrum of light are apparent in the flesh tones, with an o palescence that develops that mother of pearl quality first introduced by Federico Barrocci. 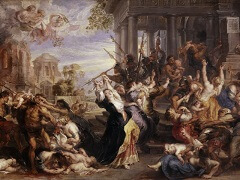 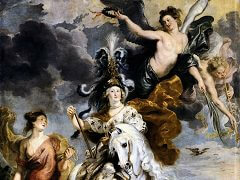 The impact made on Rubens by Roman statuary can be seen in the antique altar with sacrifice scenes, but above all in the strong sculptural high relief of the figures. 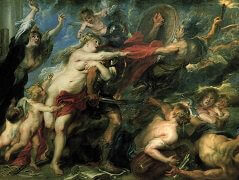 The dense chromatic texture of the composition owes much later works of Titian, while the airy vibrato and gentle rhythms echo Correggio's achievements. 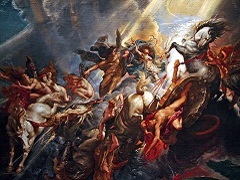 The light unexpectedly bursting through the dark area of the painting provides evidence that Rubens competed in an original way with the chiaroscuro experiments of his contemporary Caravaggio.